Ginetta - I Say Ding Dong Shop - Buy Stickers, Decals & Unique Automobilia. 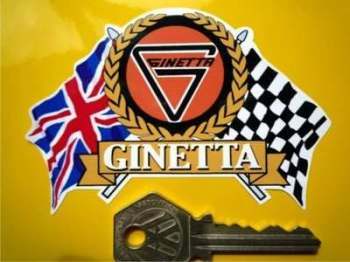 Ginetta Flag & Scroll Sticker. 3.75". Ginetta Laser Cut Self Adhesive Car Badge. 2.5" or 5". Ginetta Logo Circular Laser Cut Self Adhesive Car Badge. 25mm. Ginetta Logo Nationality Country ID Plate Sticker. 5". 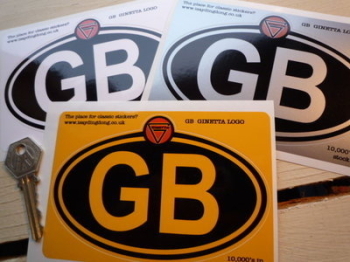 Ginetta Round Stickers. 4" Pair. Ginetta Service with Castrol Oils Sticker. 3". 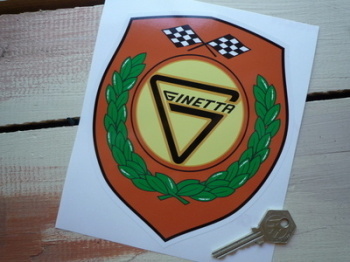 Ginetta Shield Sticker. 5" or 7". Ginetta Shield Stickers. 4" Pair. Ginetta Tyre Pressure Stickers. 1.75" Pair. Ginetta Wheel Centre Style Stickers. Set of 4. Various Sizes.